The possibility that the city could have any role at all with HISD is itself interesting. Houston Mayor Sylvester Turner said he has been asked to get “very, very, very involved” in Houston ISD as it faces potentially severe state sanctions, but he stopped short Wednesday of suggesting the city could take control of the district’s chronically under-performing campuses. In recent weeks, HISD administrators have proposed surrendering significant control over 10 underachieving campuses to “partners” as part of the district’s plan for avoiding state sanctions. Under a law known as HB 1842, which was passed in 2015, the Texas Education Agency must replace HISD’s locally elected school board or close campuses if any one of the district’s 10 longest-failing schools fails to meet state academic standards this year. Under a separate law known as SB 1882, which was passed in 2017, the district can stave off those potential sanctions for two years if it partners with a nonprofit, higher education institution, charter school network or government entity. When HISD administrators initially recommended partnerships in early February, the district did not include governmental entities as a potential partner. However, in recent days, HISD leaders have added that option in public presentations about SB 1882, leading to speculation that the city of Houston could take control of HISD campuses. There’s some precedent for this. Peter Brown advocated for an “urban school district” as part of his 2009 Mayoral campaign. Mayor Turner hired former HISD Trustee Juliet Stipeche as his Director of Education, a role he created. It’s not clear what role the city might play in HISD, if it even comes to that. Given the choices from SB1882, I’d go with a college or nonprofit first as a partner, and would prefer the city only if the other choices are a charter school or the state. There’s still a lot of uncertainty about what comes next, but I do appreciate the city being willing to step in, even if I’d rather it not be needed. 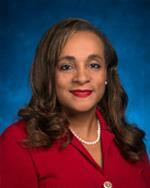 Former HISD Trustee Juliet Stipeche has joined the Turner administration. 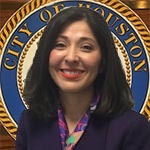 Mayor Sylvester Turner has named former Houston ISD board president Juliet Stipeche to a newly created Director of Education role in his administration, seeking greater collaboration between the city and area schools, community colleges and universities. Many council members and education advocates praised the move, even as some acknowledged Stipeche’s effectiveness could be limited by the inherent gap between the city and local schools districts, which are legally distinct and governed by separately elected boards. Turner said Stipeche, who will report directly to him, will work with parents, administrators, law enforcement agencies and neighborhoods, seeking grants and better coordinating what dollars Houston already directs to youth and educational programs. He tied the appointment to his oft-repeated goal of reducing income inequality, saying that social divide often is driven by an inadequate education system. This is a newly-created position, so it’s hard to know at this time what the effect might be. The basic idea of facilitating better cooperation and coordination with schools and colleges makes a lot of sense on a number of levels. For one thing, if we go back to a major theme of the 2009 Mayor’s race, the school districts and all of the colleges have their own police forces, and to whatever extent they can work better with HPD, it’s a good thing. As noted in the story, schools have things like libraries and SPARK parks that can dovetail with amenities the city provides. These entities all pay into the Rebuild Houston fund, and they are all key to the Metro transit network, so prioritizing street and sidewalk repair and improvements around them serve multiple purposes. I’m sure there are other possibilities as well, but if nothing else just having the city talk to HISD and HCC and everyone else on a more regular basis will have benefits. And if it doesn’t work as well as we hoped, then Mayor Turner can wind it down. It’s worth a try, and I look forward to seeing what this office can do. KUHF has more. The board ponders its options for Superintendent while they prepare to search for a successor to Dr. Terry Grier. The Houston Independent School District board is set to meet Tuesday morning to discuss the district’s next steps after Superintendent Terry Grier’s surprise announcement Thursday that he was stepping down effective March 1. 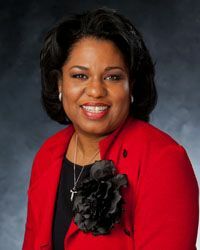 Board president Rhonda Skillern-Jones said Friday that trustees would consider when to appoint an interim superintendent. She said the interim likely would not start until Grier’s exit but could start to transition into the role. The interim, she said, could come from inside or outside the Houston Independent School District. Ken Huewitt, the district’s deputy superintendent and chief financial officer, sat in for Grier at the school board meeting Thursday night. Grier promoted Huewitt in July to serve as his deputy, saying he would handle day-to-day operations in Grier’s absence. Grier underwent a knee replacement in August and has a second surgery set for November. The school board and Grier still have to discuss a possible exit package. It’s possible they could negotiate different terms based on any unused leave time or other factors. Skillern-Jones and other trustees said a permanent superintendent would not be hired until next year, based on the timeline and board elections taking place in November. The newly elected trustees – four seats are on the ballot – will take office in January. Trustee Juliet Stipeche, who has been one of Grier’s strongest critics, said she thinks the timing of his announcement was based on his tenuous relationship with the board and possible newly elected trustees. Several candidates had called for Grier’s ouster. 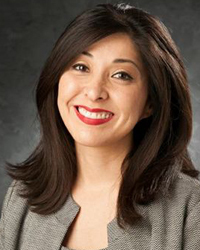 In an interim superintendent, Stipeche said, she would like someone experienced who can oversee financial problems with the district’s $1.9 billion construction bond program. Grier’s administration has estimated a $211 million shortfall, though Huewitt has said he has a plan to borrow funds to fill most of the gap. See here for the background. Ken Huewitt seems like the obvious choice for interim Superintendent, but I’m sure the board will want to consider all its options. One of those options might be to ask Grier to serve in a different role until he officially departs. Will Terry Grier get to serve out the rest of his superintendency or will he be moved to another position while an interim superintendent runs the Houston ISD? That’s one of the things that’s going to be discussed next Tuesday when the school board meets at 7:30 a.m. Trustee Juliet Stipeche said this afternoon that there are some questions about whether Grier, who faces another round of knee surgery in November (and who’s having apparently a tough recovery from the first surgery) would be available to run the district during the time he is out following surgery. On Thursday Grier abruptly resigned but pledged to keep working until March 1, 2016, three months before his contract was set to expire. Good question. I have no idea. Should make for a fascinating discussion. Beyond that, the interesting decision is for the successor. The first thing the board needs to do is decide what exactly they want in a new super. I wish all this had happened before I went and did HISD candidate interviews, because that would have been a great question to ask, but that’s the way it goes. Be sure to ask your Trustee and/or the candidates running for Trustee in your district what they want to see in the next Superintendent. A key Houston ISD school board member called Sunday for audits of the district’s 2012 bond program amid estimates of a $211 million shortfall and concerns about breaking promises to voters. 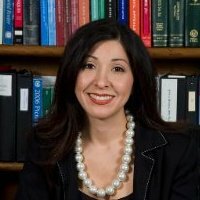 Juliet Stipeche, chair of HISD’s audit committee, submitted her request for internal and external audits after a Davis High School teacher expressed outrage on Facebook that the district’s $1.9 billion bond program may be so short on funds that her campus will only be renovated, rather than rebuilt as promised. Meanwhile, the teacher wrote, rats fall from a hole in her classroom ceiling, the restrooms smell like a prison and fires have started, apparently because of shoddy wiring. Grier replied in an email to trustees that he was open to an audit, but he said the financial problems boil down to unusually high inflation in the construction market, a concern he expressed months ago. He also revealed Sunday that his staff was working with financial advisers to try to add another $200 million into the bond program to cover most of the projected shortfall. The district’s 2012 bond referendum – with the largest price tag in Texas school history – called for rebuilding and renovating 40 schools, renovating middle school restrooms and upgrading technology, athletic facilities and security. There’s a discussion in the story about higher-than-expected inflation of construction costs, which is not too surprising given the (up till recently) red hot real estate market in town. There’s also some finger-pointing about who knew what when and who informed whom about it, which I’m just going to glide past. The main thing is keeping promises to the schools and their communities that were made in the referendum. I am confident it can be done, and we need to make sure that it does get done. Houston ISD overpaid contractors and may have violated state law by exceeding construction contract limits without required school board approval, according to a newly released audit. The auditors found that the district appeared to skirt a $500,000 contracting cap multiple times by improperly submitting separate work orders tied to the same project. The auditors also noted that the district failed to catch inaccurate and inappropriate charges and at times asked the school board to sign off on work after it had been done. In a written response, HISD’s construction and facilities department said the district would seek repayments from the contractors that appear to have been overpaid. One example cited shows the district is due $16,179, but auditors did not calculate the total amount due for other questionable invoices. Teacher pay raises and magnet school funding changes are the main points of interest. Thanks to rising property values, all Houston ISD employees would receive raises and schools would get more money for supplies, field trips or tutors next year under a budget proposal drawing complaints for its long-term cuts to some popular magnet programs. For property owners, next year also is expected to bring the first round of a tax rate increase tied to the construction bond package passed by voters in 2012, according to HISD’s financial chief, Ken Huewitt. The school board is set to vote Thursday on the district’s $1.7 billion operating budget for the upcoming school year. Trustees will not adopt the tax rate until October, but Huewitt projects it will rise by 1 or 2 cents. The amount depends on the district’s final property values, which aren’t certified until August. Huewitt said he likely could keep the rate hike to a penny if the board doesn’t add more money to schools’ budgets. However, some trustees have said schools need additional funds particularly after state budget cuts in 2011 led to job losses. Any tax rate increase would come on top of the 3-cent hike the board approved last year to help fund low-performing schools and raises. The current tax rate is $1.1867 per $100 of assessed value. The owner of a $200,000 home pays $1,720 in taxes, with the district’s tax breaks. Under Superintendent Terry Grier’s budget proposal, teacher salaries would increase by at least $1,100 with some rising by double that amount, Huewitt said. Other staff would get a 3 percent raise. Generating the most controversy is Grier’s plan to standardize funding for magnet programs and other specialty schools, which have themes like fine arts or serve gifted students. Some schools would gain tens or hundreds of thousands of dollars over three years. Others would lose the same amount. Softening cuts to the specialty schools, Grier has proposed upping the budgets for all campuses by $55 per student. Some school board members have said they want to double that extra money for all schools and hope to amend the budget proposal Thursday. “Hopefully we’ll be able to get more money to our schools – which would be great because they desperately need support staff and librarians and counselors,” said school board president Juliet Stipeche. See here and here for the background, and these two K12 Zone posts for more on the revised magnet funding formulae, which remain subject to further change. It’s nice that there’s more money being put into the budget for magnet school programs, but I still don’t understand, and I suspect a lot of other people don’t understand, what the bottom line is. It would be very helpful if HISD could explain, in sufficiently small words, what the district’s vision for its magnet school program is and what the factors are that affect how a given school is funded for it. Maybe it will be a little clearer after the budget is adopted, but the overall lack of communication on this has made the process a lot harder than it needs to be. You still have time to talk to your trustee about this. Superintendent Terry Grier’s administration has proposed standardizing how the programs are funded – a plan that would result in some schools losing tens or hundreds of thousands of dollars and others gaining as much. School board president Juliet Stipeche said Monday that she used her authority to postpone a decision on the proposal, which has received mixed reviews from her fellow trustees and parents. The board likely will vote on the issue June 19 when it is scheduled to approve the district’s overall operating budget. “Given we’re in the last throes of the budget, I didn’t feel comfortable going forward with this until we had the clearest understanding of our final figures,” Stipeche said. Grier’s plan sets specific dollar amounts that all programs with the same theme would receive, on a per-pupil basis. For example, an elementary school with a fine arts magnet would receive $350 per student while one with a science, technology, engineering and math program would get $125 per pupil. “The proposed funding formula is designed to improve equity across programs and increase transparency in our magnet and speciality school funding process,” Mark Smith, the Houston Independent School District’s chief student support officer, wrote in a letter to parents last week. The plan affects 126 schools. A little more than a half would gain money. See here for the background. I’ll say again, while I think I get where Grier is coming from on this, the proposed changes have not been communicated well to the affected schools. I know I still don’t understand the formula that HISD came up with to equalize funding. It also occurred to me in writing this post that we’re still waiting on a final decision from HISD about whether some schools will lose all magnet funding for not meeting certain standards, a decision that was postponed in November. I’m not sure how or if this vote is related to that, and I’m not sure where last year’s actions now stand. It would be nice to get some clarity from HISD on these things. Hair Balls has more. In the end, only one school was closed by HISD, but a lot of people are still upset about the whole thing. During a rowdy meeting where police had to quiet shouting protestors, the Houston school board narrowly agreed Thursday to close Dodson Elementary but accepted a compromise plan that would turn the long-struggling Jones High into a specialty vocational school. Many in the crowd focused their anger on Superintendent Terry Grier, calling for his firing, during the most raucous board meeting in years. Grier’s initial closure proposal, unveiled four weeks ago, would have shut down five small schools. But [Juliet] Stipeche, using her power as board president, scaled the potential closure list to two schools after community members packed a series of public meetings to complain and a couple dozen people marched outside Grier’s condominium one weekend. Grier had said closing Jones High and Dodson Elementary were his priorities, saying the district needed to use the facilities to house students from other schools due to be rebuilt under the 2012 voter-approved bond issue. The idea of closing schools so they could serve as temporary “swing space” for other students didn’t sit well with many. In the end, the school board agreed on a 5-4 vote to close Dodson Elementary, which enrolls about 445 students this year. The building likely will be used to house students from the district’s Energy Institute High School while it is rebuilt. Under the compromise plan for Jones, passed on a 6-3 vote, the school would become a specialty campus focused on career readiness. It would be modeled after other “Futures Academy” programs that the district has started in other high schools, allowing students to work toward industry certification or associate’s degrees. Students zoned to Jones would get priority in admissions, but the specialty school would be open to students across the district. The Jones students who don’t want to attend will be rezoned to Worthing and Sterling high schools. All are under-enrolled, with Jones falling to about 440 students this year. The new Jones would not have athletics, a point of contention for some. Students could play for their zoned schools. While many said they supported the compromise plan for Jones, James Douglas, a longtime officer for the NAACP of Houston, said he did not. He joined others in expressing frustration that Stipeche, the board president, limited speakers to one minute each because more than 80 had signed up to speak on the closures alone. See here, here, here, here, and here for the background. I’m sure this isn’t the end of the story, though it’s unclear to me what comes next. The one thing I do know, which hasn’t been mentioned in the coverage so far, is that I truly hope HISD will keep track of the Dodson and Jones students that are directly affected by this to see how their performance fares going forward, just as I have hoped that they will closely monitor the former North Forest students. Whatever the demographic case may be, if closing a school or significantly changing it turns out to have a negative effect on the existing students, it should make districts very reluctant to do that. Dodson is hardly the first school HISD has closed during Terry Grier’s tenure, and I have no idea if any of those students were tracked post-closure. It would be nice to know more about the data we already have, if in fact we do have it. Regardless, given the strong feedback this has generated, the least HISD can do is keep us informed about the consequences – good, bad, or indifferent – of their actions. Hair Balls has more. For now, at least. The other two are still on the block. Three small schools will be spared from closure at the urging of Houston school board president Juliet Stipeche, but Jones High and Dodson Elementary remain on the potential chopping block. Facing mounting community pressure against Superintendent Terry Grier’s closure proposal, Stipeche eliminated Fleming Middle School, Port Houston Elementary and N.Q. Henderson Elementary from the closure list. The board is set to decide the fate of Jones and Dodson next Thursday. Grier has said the two buildings are needed to house students whose campuses are being rebuilt under the 2012 voter-approved bond program. Stipeche said she thought N.Q. Henderson Elementary and Fleming Middle School, both in northeast Houston, deserved more time to try to improve and recruit more students. “Port Houston is an interesting set of circumstances because it’s an exemplary school in a small building,” she added. Board member Mike Lunceford said the trustees need to review their policy on closures to perhaps distinguish between schools like Port Houston that are small because the neighborhood has few students, and those like Jones High where students are choosing to enroll elsewhere. See here, here, and here for the background. I think Stipeche and Lunceford’s logic here is sound. For some neighborhoods it may make more sense, and be more cost-effective, to maintain a smaller school than to have to provide transportation elsewhere for all the affected students. Reviewing the policy to draw distinctions between schools in less-populated areas and schools that aren’t drawing in as many students as they could is a good idea, too. Hair Balls and Stace have more. 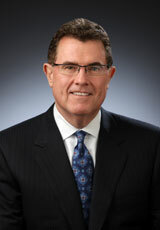 HISD Superintendent Terry Grier assesses the district in his State of the Schools address. While not mentioning the closure controversy Wednesday, Grier touted the district’s progress – being named the nation’s top urban school district in 2013, for example – while conceding he has more work to do in the two years left on his contract. He announced new initiatives including expansion of foreign language studies and efforts to reduce student mobility during the school year. Touting Houston’s diversity, he said an additional 14 elementary schools will offer dual-language Spanish programs next year, doubling the number in the district. The programs allow native English and Spanish speakers to take classes together, helping them gain proficiency in both languages. Grier, in his North Carolina drawl, later attempted a few words in Arabic and said officials were considering an Arabic immersion school. HISD’s Mandarin immersion school, opened in 2012, has proved popular, drawing a waiting list as early as pre-kindergarten. You can see videos of the speeches and more information on the dual-language programs, which I too think are a great idea, here. Of interest is that Grier barely mentioned the Apollo program, which continues to have questions raised about the permanence of the academic gains it has achieved. Grier suggested that HISD may just take what it has learned from Apollo – basically, tutoring works – and apply it more broadly, a development that if it happens would I daresay be received well. He also emphasized the need to improve reading scores in HISD, which if done would be a huge accomplishment. Hair Balls has more. Houston ISD officials are proposing to close five small schools at the end of this academic year, a move likely to set off protests from parents and alumni. Some on the school board – which ultimately must approve the plan – already are expressing concerns about the closures, which would affect more than 2,000 students. The campuses slated to close are Jones High School, Fleming Middle School, and Dodson, N.Q. Henderson and Port Houston elementary schools, according to Houston Independent School District spokeswoman Sheleah Reed. The schools each enroll fewer than 500 students, according to 2013 district data. In many cases, numerous students who live in the neighborhood transfer to attend other HISD campuses or leave for charter schools. Jones High School in southeast Houston, once a thriving campus that launched the district’s Vanguard program for gifted students, enrolled 440 students last year, according to district data. More than 900 students zoned to Jones, however, left to other HISD high schools, with about half attending Milby and Chavez, each about 7 miles away. See School Zone and Hair Balls for more; the latter provided this link to HISD’s campus demographic and enrollment report. I get the rationale behind this, but it’s not clear to me that having a few smaller schools in a huge and diverse district like HISD is a bad idea. Maybe offering some kind of specialized programming at these campuses is a superior alternative to closing them. Closing schools can have a profound effect on a neighborhood, which is probably why at least three trustees so far – Paula Harris, Rhonda Skillern-Jones, and Juliet Stipeche – have had negative reactions. Whether this proposal ultimately makes sense or not, this is going to be a tough sell for HISD. A press release panning the idea from Working America is beneath the fold. Whether that will mean a tax hike, and if so how much, remains undetermined. Houston ISD employees will see a 2 percent pay raise and many schools will receive more money to help struggling students under the budget that trustees approved on a 6-3 vote Monday. Left unsettled was whether property owners will face an increase in the tax rate next year. The school board won’t adopt the rate until October. The district’s financial chief, Ken Huewitt, said after the board meeting that the budget will require a 4-cent increase in the tax rate unless circumstances change. Property values may rise more than expected, for example, or the board could agree to cut programs or dip into savings. “We’re talking 4 cents if nothing changes,” Huewitt said. Trustees Juliet Stipeche and Mike Lunceford, who voted against the budget, expressed concerns about the effectiveness of Grier’s reform program called Apollo. The spending plan continues the program at 20 schools while giving another 126 campuses with low test scores extra money to spend on tutoring or other efforts to boost achievement. Board president Anna Eastman, who also opposed the budget, said she disagreed with distributing money based on overall school results rather than tying funds to needy students at any campus. See here for the background. There won’t need to be an increase to cover the construction bonds that were issued last year, thanks to rising property values, so any increase will be driven by these items. The pay raise was a must – among other things, some nearby school districts have bumped their teachers’ pay, so HISD needed to keep up or risk losing talent. Sure is nice when a job market operates like that, isn’t it? As for Apollo, it remains controversial. There’s a lot more one can say about it, but that about sums it up. The Houston school board gave Superintendent Terry Grier a big but not unanimous vote of confidence Thursday, extending his contract through 2016 and awarding him $115,000 in bonuses for the last year. The board voted 6-2 to approve the surprise two-year extension, and the lone absent trustee said later that she opposes the longer term. Trustees supporting the extension said the move sends a strong message that Grier has performed well, while opponents lamented that the decision gives the board less leverage to hold him accountable. The board’s action comes one month after voters overwhelmingly approved a $1.9 billion bond issue pushed by Grier. HISD also was a finalist for the Broad Prize for Urban Education. “His success in continuing to build and retain the world-class team he has created in Houston depends on top-notch people believing the superintendent has the confidence of his board and is here for the long term,” said trustee Harvin Moore. “While we’ve made good progress, we have much work to do, and I’m very excited to be part of a school district and city that values consistent, rigorous education for all of its children,” he said. Trustee Juliet Stipeche said she opposed the extension, particularly because it was only 10 months ago that the board agreed to extend Grier’s contract through 2014. I agree with Stipeche. I think Grier has generally done a good job, and it was right to extend his contract through 2014, but there was no reason to take this action now. What if we’re not as happy with the next two years? If it is the Board’s job to hold the Superintendent accountable, then the Board needs to wait until it has full information before undertaking a vote like this. They should have waited. Grier’s bonus structure may be tweaked, too. Several school board members said Friday, a day after granting Grier more job security, that they plan to discuss revising his new contract to increase the size of the bonuses he can earn. 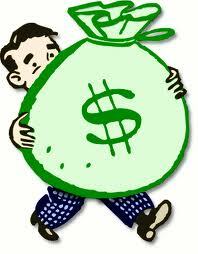 Grier received bonuses totaling $115,000 out of a possible $125,000 for his performance last year. Houston Independent School District trustees declined to reveal the amounts they are considering but said they first want to revamp the criteria that determine the bonuses. Grier’s base salary is $300,000, plus $19,200 in stipends for his car and cellphone. Several trustees said they don’t foresee giving Grier a standard raise – teachers received 2 percent this year – but instead will look to increase his bonus potential. “What I think is appropriate is having a significant portion of his remuneration be based on performance,” said trustee Harvin Moore. I’m okay with this, as long as the standards for achieving the bonuses make sense and are easy to quantify and understand. Let’s take a little more time with this, and put a little more thought into it, than we did with the contract extension, OK? It was a unanimous vote at Thursday’s board meeting. Under the new rules, which will be finalized next month, trustees will have to abstain from voting on deals involving vendors who contributed at least $500 to their political campaigns the prior year. District contractors also will be barred from donating to trustees during the competitive bidding process until a contract is issued. The city of Houston has a similar blackout period but does not bar Council members from voting on donors’ contracts. Trustees also will have to disclose if a wide range of family members are employed by vendors, and will have to abstain from voting on related deals. The policy does not require disclosure of trustees’ friendships with vendors because that relationship would be hard to define, though the rules do say the board should avoid the appearance of a conflict of interest, said HISD’s outside attorney David Thompson. In addition, the new policy says that HISD trustees should not accept meals, trips, sports tickets or other gifts totaling more than $50 a year from vendors. But if they do take the gifts, they must disclose them. Thompson said the intent of the policy also is to ban trustees from voting on deals involving those who gave them gifts. The old rules, which aligned with state law, did not require trustees to disclose trips, tickets or other entertainment paid for by vendors if the trustees attended as the vendors’ guest. Good. This needed to be done, and it removes a large obstacle to supporting the bond that a number of people, the Chron editorial board, and organized labor had cited. It should be a lot easier to advocate for the bond now. Kudos to the trustees, and especially to Trustee Juliet Stipeche, for getting this done. 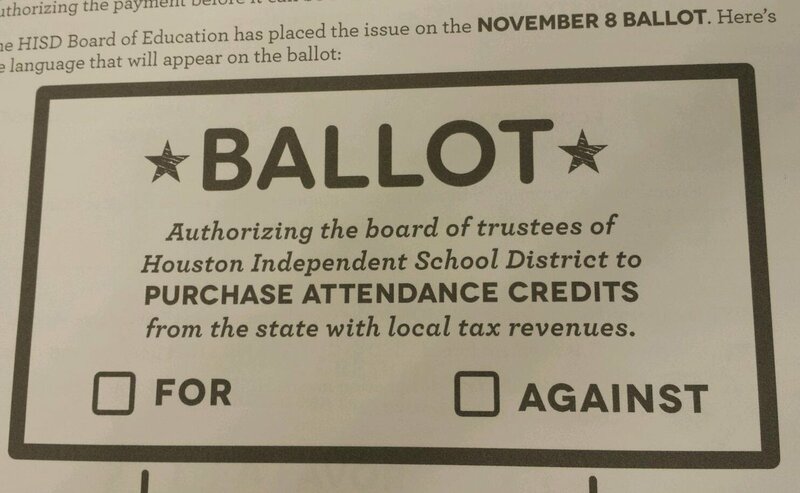 Houston ISD trustees would have to abstain from voting on deals involving big campaign donors and disclose potential conflicts of interest with a wider range of vendors under new policies up for consideration Thursday. The board has been working on changes to its ethics rules since tabling a decision last November, and questions remain before this week’s vote. Board president Mike Lunceford has been adamant that trustees adopt stricter rules before asking voters this November to approve a $1.9 billion bond issue that would result in the district doling out lucrative construction contracts. The proposed policies would require trustees to disclose in writing when they or certain family members work for a company or a nonprofit group seeking HISD business. The trustee also could not discuss or vote on those deals. The current rules require trustees to disclose conflicts only with companies that employ their parents or children. The proposal extends the requirement to trustees’ siblings, grandparents, grandchildren, aunts, uncles, nephews, nieces, great grandparents and great grandchildren. Trustees still are deciding disclosure rules regarding “the appearance of a conflict of interest,” such as a contract involving a vendor who is not family but is a close friend of a board member, said HISD trustee Juliet Stipeche. Let’s just say that it will be a lot easier to sell that $1.9 billion bond issue if tighter ethics rules have been put in place first. Let’s also say that while it may be difficult to define “the appearance of a conflict of interest”, it’s usually not too hard for ethically-inclined people to recognize them when they see them. Really, this whole topic is a lot easier to deal with if everyone would work a little harder at avoiding situations that don’t pass the sniff test. Until such time, tighter rules with clearly understood consequences will have to suffice. Stace has more. Houston school trustees on Thursday renewed serious talks about tightening their ethics rules after failing to agree on new policies late last year. The proposed changes, meant to restore public confidence that the Houston Independent School District is hiring the best contractors without undue influence, also could affect trustees’ political campaign coffers. Trustees would have to abstain from voting on deals involving vendors who had contributed more than $500 to their campaigns the prior year. They also would have to disclose and abstain if they have a close relationship with a vendor. Board president Mike Lunceford pledged that trustees would take a preliminary vote on the new policies in September. The changes would be in place before November, when the board is asking voters to approved a $1.9 billion bond issue that would result in the district awarding numerous lucrative construction contracts. This is true, and pushing for stronger ethics rules before rolling out the pro-bond referendum campaign makes a lot of sense and ought to help satisfy those who want to be supportive of the bonds but have qualms about some of the trustees’ behavior. Still, any set of rules can be circumvented – as Campos suggests, what happens if a vendor donates to a PAC that then attacks or supports a given candidate? I wouldn’t mind seeing publicly funded campaigns for school boards as I’ve suggested for judicial races, but in a post-Citizens United world, I don’t see a viable path towards that end. Honestly, what we really need are more voters that are willing to hold accountable trustees that don’t act in an ethical manner. If we had Board whose members all instinctively acted correctly in these matters, we wouldn’t have to sweat the details nearly as much. 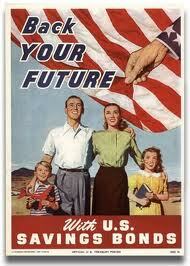 Instead, they will dip into their reserves to balance their $1.5 billion budget for this year. The amount is about the same as last year, when the district reduced spending by approximately 5 percent to offset unprecedented state cuts. Instead of seeking a tax increase – which the school board has been reluctant to embrace – [Superintendent Terry] Grier has recommended spending $9 million, or 3.5 percent, from savings next year. “I would hate to arbitrarily raise taxes at this point when we don’t know what’s going to happen down the road,” said Mike Lunceford, president of the Houston Independent School District board. HISD is one of about 600 districts suing the state, claiming funding is inadequate. Lunceford said he is hopeful that lawmakers will revise the school finance system next session. [HISD Chief Financial Officer Melinda] Garrett said the district cannot continue to spend its fund balance. The account contains $257 million, about two months’ worth of operating expenses. HISD also plans to use $18 million from one-time federal jobs funding to close the budget shortfall. “The district and the board will have to address how to balance this budget next year,” Garrett said. The budget was adopted Thursday night. I’m sure the improved real estate market, which has led to higher property tax revenues and thus greatly eased the budget situation for entities like the city of Houston, enabled HISD to get close enough to balance to take this approach. A lot of the cost cutting they did last year – i.e., staff reductions – carry over as well. Still, as Garrett says, they can only go to their reserves for so much. Especially with a big bond package on the table for this year, they will need a healthy amount of reserves to ensure good bond ratings. That bond package was unveiled Thursday as well, and unlike this year’s budget it will mean higher taxes down the line. Most of the focus will be on the high schools. You can see the details in School Zone and Hair Balls. The Board has not yet voted on Grier’s bond proposal, but there is some early opposition. Trustee Juliet Stipeche criticized the plan for not including a new High School for Law Enforcement and Criminal Justice, her alma mater. Grier acknowledged the facility is lacking but said he wants to sell the valuable property on Dickson and find a new site. Stipeche said she opposed changing the location, which is convenient to internships at downtown law firms and to students who transfer in from across the city. 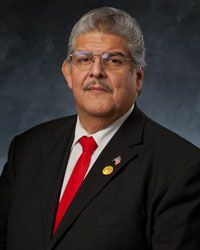 State Sen. Mario Gallegos, D-Houston, made a special appearance at the board meeting Thursday night to tell trustees he did not support the bond proposal as is, particularly the slight to Law Enforcement. You can’t have everything. I don’t think that’s sufficient reason to oppose the entire package, but by all means until such time as the board has voted on it anyone who is unhappy with some part of Grier’s proposal go ahead and fight to make it better as they see fit.